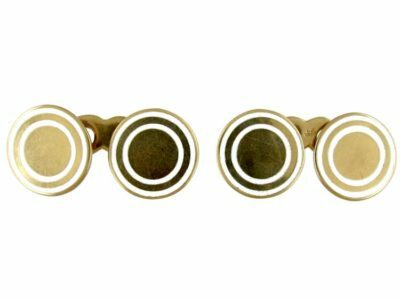 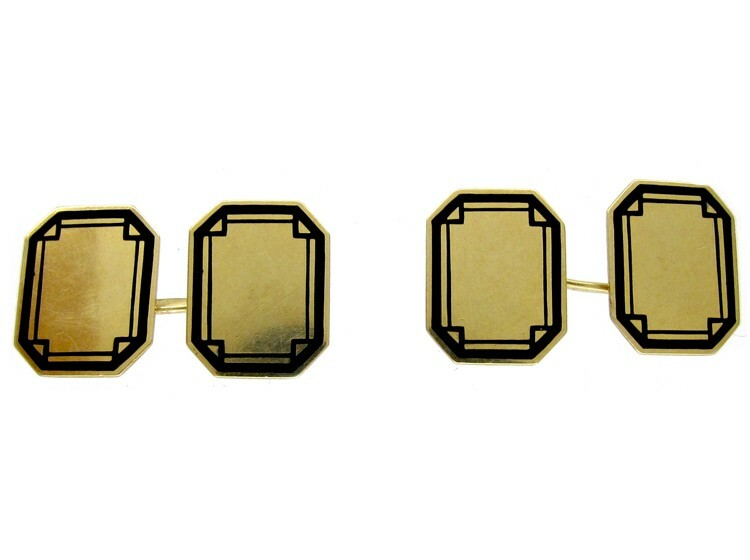 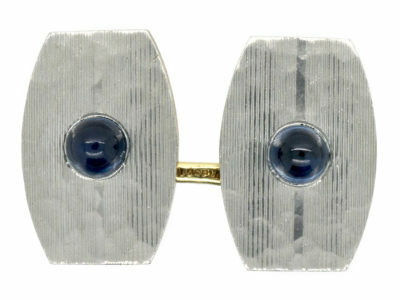 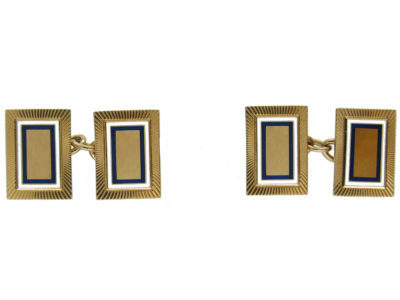 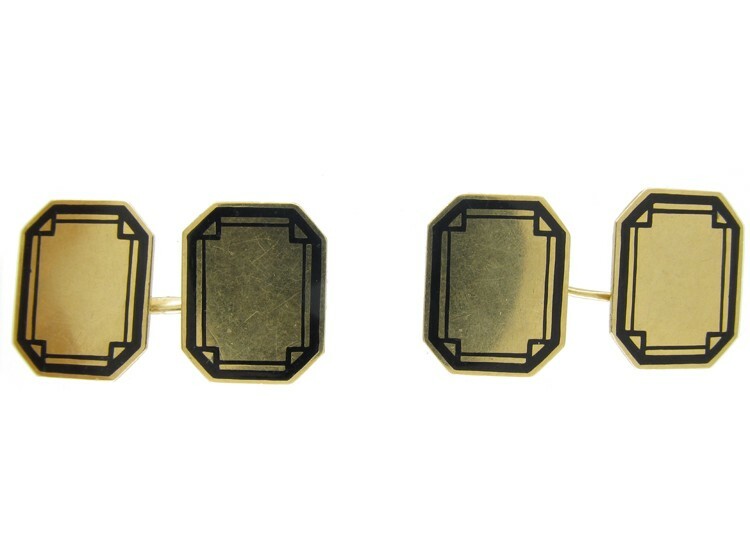 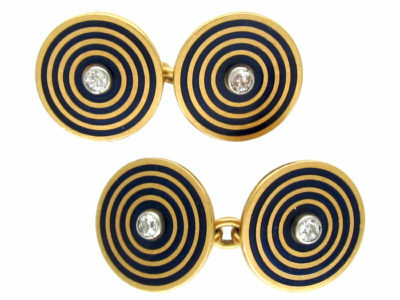 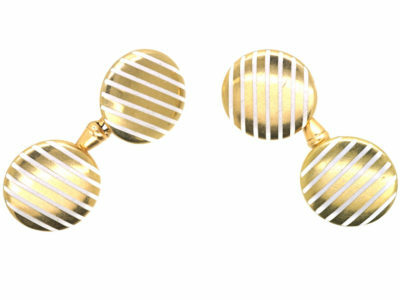 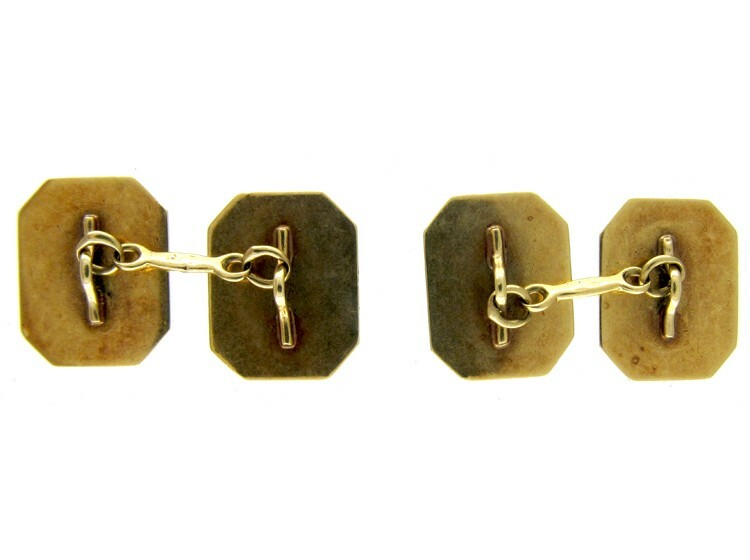 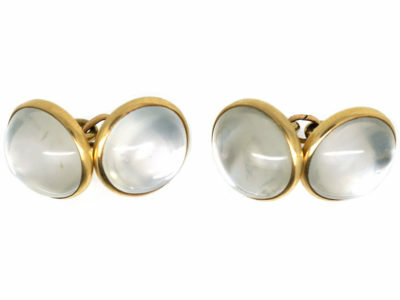 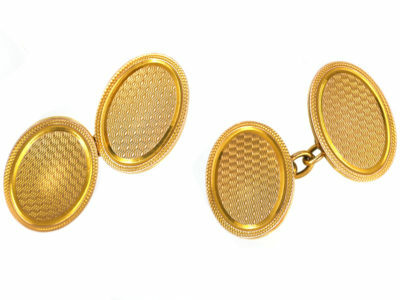 An attractive pair of 14ct gold rectangular cufflinks with canted corners. 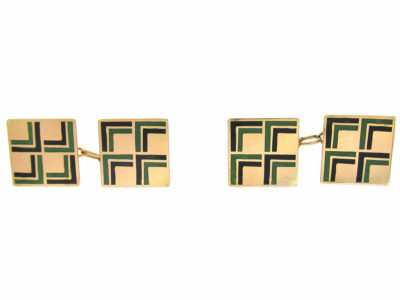 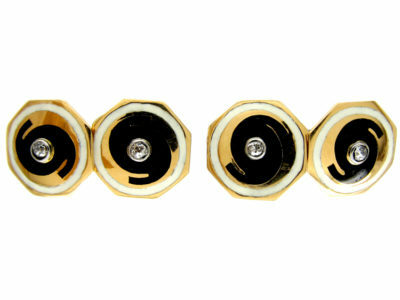 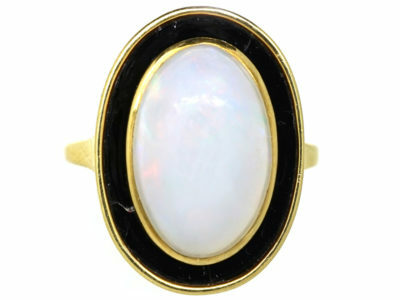 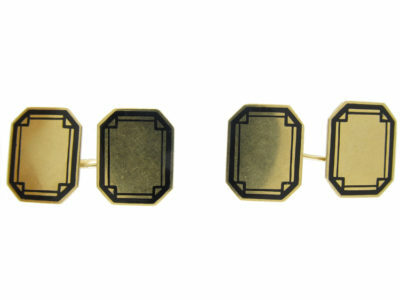 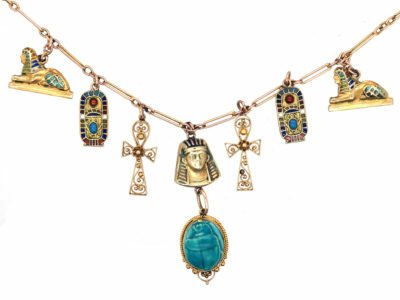 They have been finely enamelled in black to emphasise the shape and reflect the Art Deco geometric fashion. 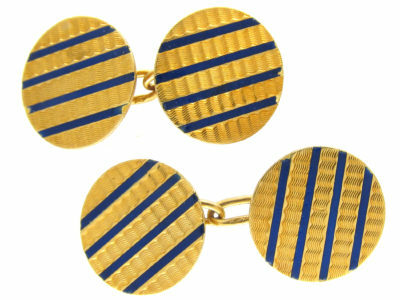 They were made in the 1920s in America.